When you’re in debt and receiving constant phone calls from a debt collector, you might start to feel powerless. However, there is a way to end those annoying calls and letters you receive. If you don’t want a debt collector to contact you, Section 805 (c) of the Fair Debt Collection Practices Act (FDCPA) gives you the right to ask them to stop — and they must comply upon receipt of your letter. Find out whether a cease and desist letter is right for you and read a sample letter to get you started in the process. 1 What is a cease and desist letter? A cease and desist letter is a form of written communication sent to you directly to the debt collection agency. It formally requests that they stop contacting you altogether in reference to your amounts owed. The letter includes your personal contact information as well as your account number so that there is no confusion about what debt you’re referencing. Once they receive your letter, they may only contact you one more time in regards to your debt. In this instance, they may call or write to 1) inform you that they will no longer attempt to collect on the debt and 2) respond to your inquiry. If they contact you for any other reason, they might be in violation of the FDCPA and be subject to legal penalties. This doesn’t mean, however, that the collection agencies can’t attempt to collect on the debt in other ways. They still have the right to sue you for the amount you owe. They can also place negative marks on your credit report and pursue other means of satisfying the debt that collection agencies normally use. With a written cease and desist, they simply can’t barrage you with phone calls and letters as a method of getting you to pay. Sending a cease and desist letter can turn out to be a bit of a gamble because there are really only two potential outcomes. The first is that they decide to stop pursuing your debt altogether. Obviously, that would be an ideal scenario. The second potential outcome, however, is that they could decide to file a lawsuit against you. You don’t have to make the decision entirely blindly. In some situations, it might be fairly obvious that collecting on the debt might not be worth their effort. That’s because it takes a lot of time and money to sue someone and collect the money. If your debt is small or old (particularly if it’s nearing your state’s statute of limitations), then the debt collector might decide that the debt isn’t worth pursuing. On the other hand, when they receive your letter, they may realize that they won’t receive any money from you unless they take more drastic actions. There’s definitely a risk of provoking a debt collector, especially if you owe a large amount of money. Even with the time it takes to bring a lawsuit to trial and pay for an attorney, the debt collector might still feel that it’s in their best interest to move forward with legal action. No matter what size your debt is or its age, you should always be prepared for this response because there’s just no way to know for sure what your debt collector will do. If you do decide to send a cease and desist letter, it’s important to follow a few simple guidelines. First, use firm, yet professional language. This is not the place to get personal. Include your full name, address, and account number and be sure to reference the FDCPA. Once your creditor has received this letter, the FDPCA only allows them to contact you one last time via letter to let you know what action, if any, they will take. They’ll be less likely to abuse this law if they know that you’re fully aware of your legal rights. Use careful language that doesn’t implicate yourself in anything the debt collector has accused you of. Finally, send the letter via certified mail so that you can confirm it was received by the debt collector. Be sure to keep a copy of the letter for your own records as well. Even if you don’t decide to send a cease and desist letter, you should always keep detailed records of all communications you have with the debt collector, including phone and mail. Once you send your cease and desist letter and confirm the collector has received it, the phone calls should stop. If they don’t, then it’s a good idea to contact an attorney or credit repair company to make sure that the debt collector is held accountable and that the calls end for good. After all, any contact beyond informing you of their next steps may expose the creditor to both civil and criminal liability. Contacting a reputable expert early on in the process can potentially strengthen your case against the collection agency if they are indeed in the wrong. The free sample letter below can be used as a template when crafting your own cease and desist letter for your creditors. Please note that this template does not constitute legal advice – it’s only a guide for you to use when drafting your own letter. Under the provisions of Public laws 95 – 109 and 99 – 361, known collectively as the Fair Debt Collections Practices Act (FDCPA) I formally notify you to cease all communications with me in regards to this debt, or any other debts that you allege I owe. Please be advised that if collection attempts continue after receipt of this notice, I will immediately file a complaint with the Federal Trade Commission and the [Your State Here] Attorney General’s office. Additionally, if I’m contacted again after receipt of this notice, I will pursue both criminal and civil claims against you and your company for violation of the FDCPA. Please be aware that going forward, after I have confirmed your receipt of this notice, any communications from your company may be recorded to be used as evidence for my claims against you. Also, be advised that any negative information appearing on my credit reports pertaining to this account will be handled with the full legal rights and remedies available to me with regards to current consumer protection laws. Even if you decide not to send a cease and desist letter, there are other ways to minimize your interactions with debt collectors. One way is to request that they stop calling you at your place of employment. You should be able to make this request over the phone and they are then legally required to comply. However, a more aggressive collection agency may ignore your request and continue to call. In the event that does happen, it’s smart to record the details of your initial phone conversation, including the name of the person you spoke to, their direct extension number, and the date and time of the call. Keep it on hand in case your request to stop calls at work is ignored. If that happens, you can then take this information to a lawyer specializing in debt collection to find out your best next steps. Another way to lessen the impact of calls to your cell phone is by employing a little modern technology. If you block a debt collector’s phone number or disconnect your phone, you’ll likely raise a red flag for them to start contacting people you know and find out how to reach you. To get around this, it’s best to let the call go to voicemail if you don’t want to talk to the collection agency. Both iPhones and Androids have a feature allowing you to assign a silent ringtone to specific phone numbers. That lets your phone ring and go to voicemail when they call without having to hear it every single time. For landlines, consider silencing your ringer and then listening to your messages later to get in touch with people you actually want to hear from. There are many effective ways to handle collection agencies when you’re in debt. 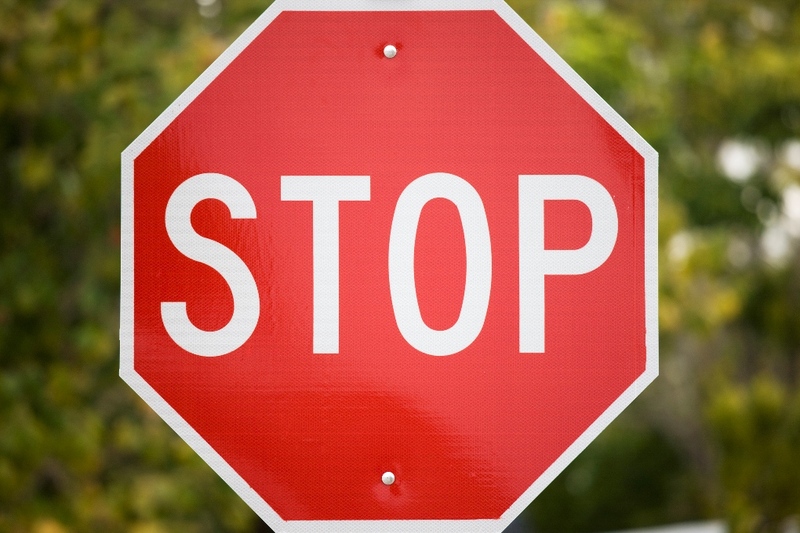 A cease and desist letter is a firm way to stop them from contacting you altogether. While other options are also worth exploring, understanding the purpose and function of a cease and desist letter could aid you in avoiding aggressive calls on a regular basis.